can anyone help plz whats the problem or tell me how to update it plz...? RJ Fury, 12 Jun 2013Ha ha, not the 4.1.2 update. It only gets the Android 4.1.1 update. Don't worry, not everyone ... moreWe have a 4.1.2 update here in the philippines. i have been using it for last two weeks. its a value pack gadget to me. u will get everything u expect from a handly mobile gadget. price Vs. tab 2 is a winning battle for any consumer. wish u all a happy tabing! i am planning to buy tab 23100 its good????? AnonD-118896, 01 Jun 2013>Adobe flash player for Tab 2 - jelly bean< How to install Adobe flash player in Sams... morevery nivce and thankyou. Andy, 12 Jun 2013Which is the best music player for this beauty?real player from google play. venom, 12 Jun 2013I am using tab 2 for last 9 months, around 2 months back I did software update. Now its eatin... more FROM GOOGLE PLAY download task killer and juice defender to save battery. AnonD-14017, 13 Jun 2013Gris,i have tried that only first but it did not help...the tabs wud keep opening,infinite tab... moreRegarding your chrome brwsr problem, is there any of your other (online) app shows unusual behavior like chrome, such as gmail or email also are not working properly, or any other else you found not normal? If no, then I wouldn't think that it's because your tab has been infected by virus. The similar problem had occurred several times reported by many chrome desktop users and for months they were not given any solution... or they've got, maybe I did not read the related forum carefully coz it's very long for me to read the entire comments. (Just go to help option in chrome brwsr and type this problem in search help bar, you'll find the forum). How to exit chrome brwsr..., the best way I think is just by pressing the home button then remove it from task manager. You can see that it has stopped already if you put Device Info live wallpaper to home screen. This app show the RAM usage in real time. When you remove an app from task manager, it will show the free RAM increase. You should try it. Unwanted app can be downloaded by other app, as example if you install and set GO launcher as homescreen it will then install automatically GO market and its related stuffs without notice. So try to identify which apps that have made your phone downloading those apps. Clicking a link in a web page which actually is a link to a push message service may cause the same thing. About future updates, I read about this from sammobile site that the last update this mobile will receive is jb 4.2.2, said it would relese around sept/oct. The reason we''ll not getting the higher versions because dual core phones will not capable to run beyond 4.2.2. There Are GHOSTS AROUND YOU!!! One thing I hate from all these ghost detectors is my late grandma had never speak english... ...w-h-e-r-e.... i-s... m-y.... w-a-t-e-r.......... booo...hoo..hoo...hoo....! r we going to get future updates on tab 2 Gris?which will be the last update available for this device? 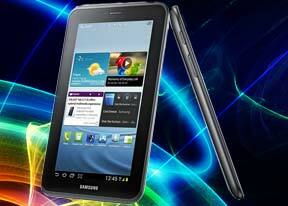 I an thinking to buy?tab 2but m confused with the processor?? ?please help me out. AnonD-14017, 13 Jun 2013Thanks Gris i tried that only when nothing else worked but i absent mindedly even cleared the ... moreYou shouldn't hv cleared the app data of chrome brwsr from app manager. Open the browser and enter its settings menu. Highlight Advanced option at the left and choose Privacy then tap Clear Browsing Data option on top page. AnonD-3744, 11 Jun 2013Maybe there's a link stays in the browser's history which distributing malware, like a link to... moreThanks Gris i tried that only when nothing else worked but i absent mindedly even cleared the data and all my saved bookmarks were gone :) have u upgraded ur tab yet,Gris?can i have email id if u dont mind? Andy, 12 Jun 2013Which is the best music player for this beauty?Google play music. If u hv or going to upgrade ur device to 4.1.2 then it comes with the upgraded package, otherwise u can download it from Google play store. There is only one problem for all music players in 4.1.2 that there is no exit button, u hv to end the application from task manager. If anyone can tell me how can I exit music player without ending it in task manager?